Want to have all your appetizers prepared ahead of time? These elegant and delicious cold appetizers are easy to prepare and store in the refrigerator until your guests arrive. Whether you're serving a celery and olive antipasto with ricotta salata or a spicy black bean dip with cotija cheese, these appetizer recipes will help you get a successful start to any dinner or party. 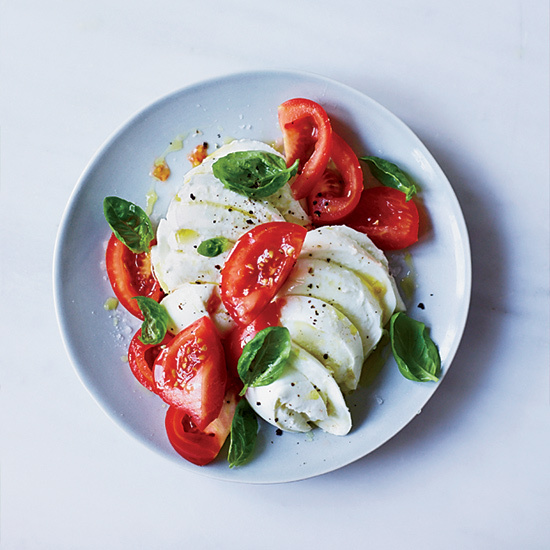 Warm, tender, milky mozzarella is easier to make than you might think. Plus it takes just 20 minutes. Inspired by the antipasti at Italian-American restaurants, Silverton developed a sophisticated version for her cookbook A Twist of the Wrist. It features shredded iceberg lettuce, salami and petite mozzarella balls (bocconcini), which she loves because each is a perfect little bite. 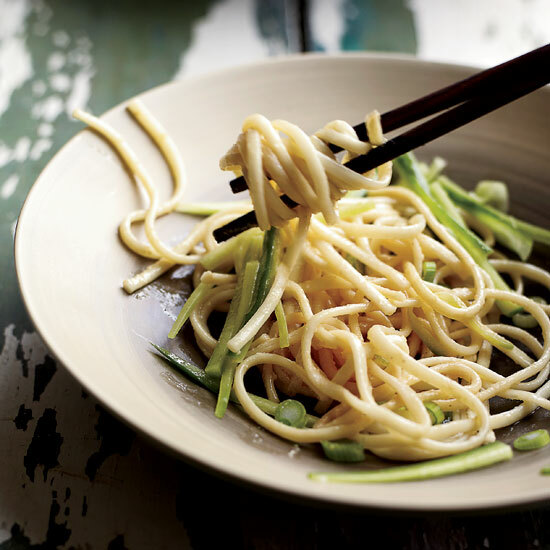 The secret to Andrew Zimmern's cold noodle recipe, inspired by the ones he had in China's Sichuan province, is the oil that gets drizzled on top. Made with chiles, Sichuan peppercorns and lots of spices, it is called Ma La ("numbing and spicy"). 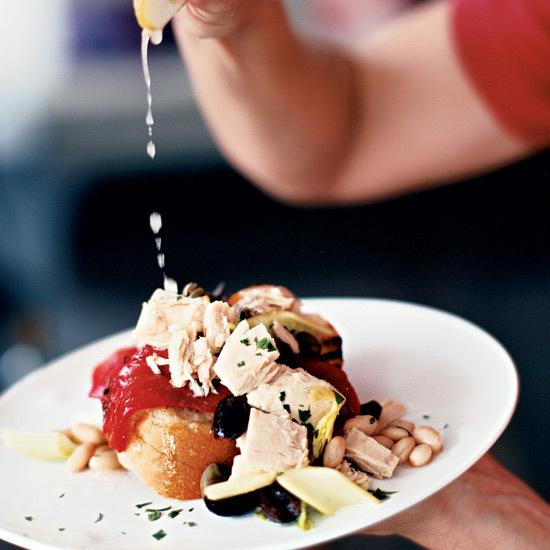 Serve this chicken salad as an antipasto at your next dinner party and wow all of your guests (who will likely keep asking for more). 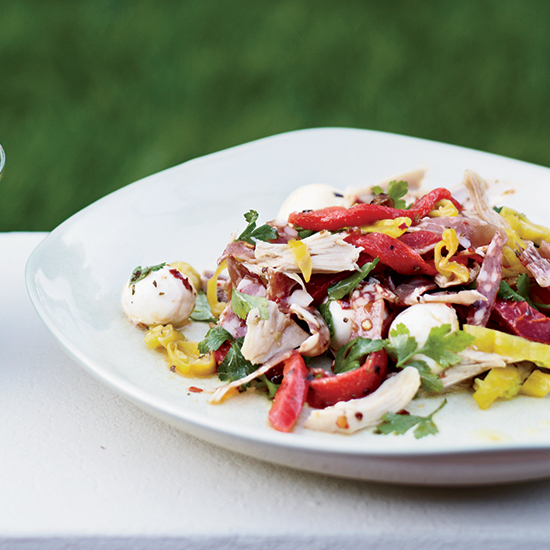 This quick and easy main-course salad offers all the variety and freshness of a great antipasto. The quality of this dish ultimately depends on the quality of the tuna: Using an Italian or Spanish variety packed in olive oil makes the salad extraordinary. 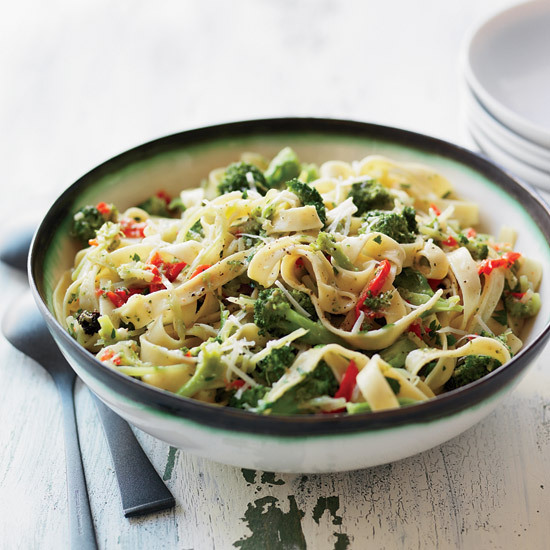 This hearty, fast and easy pasta is a terrific combination of spicy, salty, sweet and briny flavors. This lovely, sophisticated take on an open-face tuna sandwich includes sliced tart green apple and a little parsley. 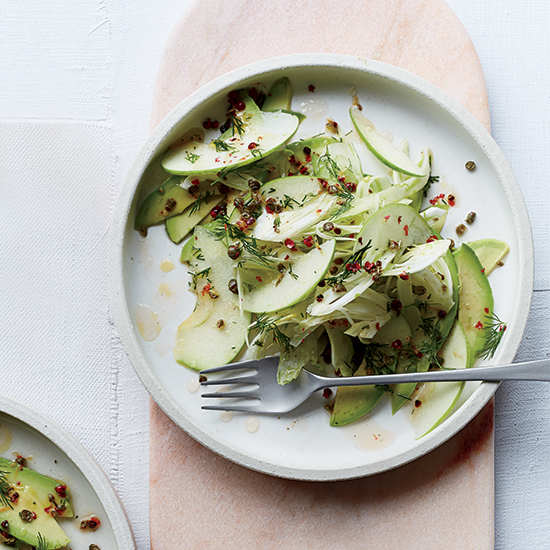 Try it with a sparkling rosé. 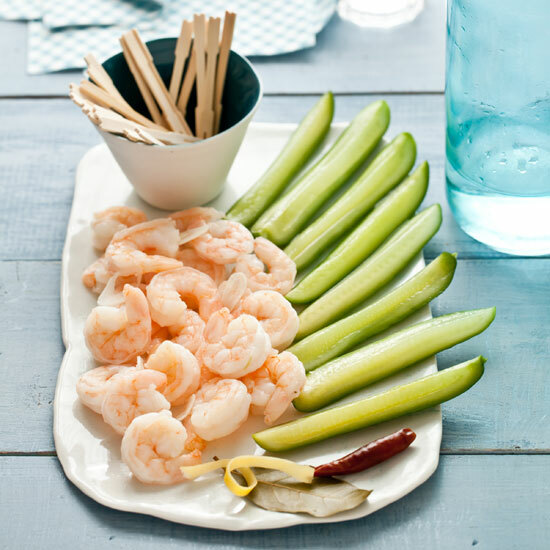 The shrimp and cucumbers need to marinate overnight, so plan accordingly. Strips of prosciutto top each toast and are topped in turn with a mound of creamy white beans and sprinkling of crisp red onion. 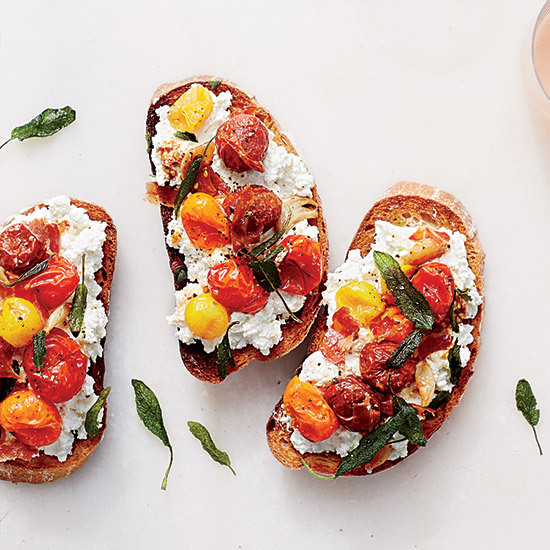 If you like, serve these with the Bruschetta Duet to make a tantalizing trio. Peak-season tomatoes make all the difference in this simple bruschetta from author Susan Spungen. They're the perfect accompaniment to a bowl of soup or a large salad, or, to turn them into two-bite hors d'oeuvres, simply cut the bruschetta crosswise into strips. 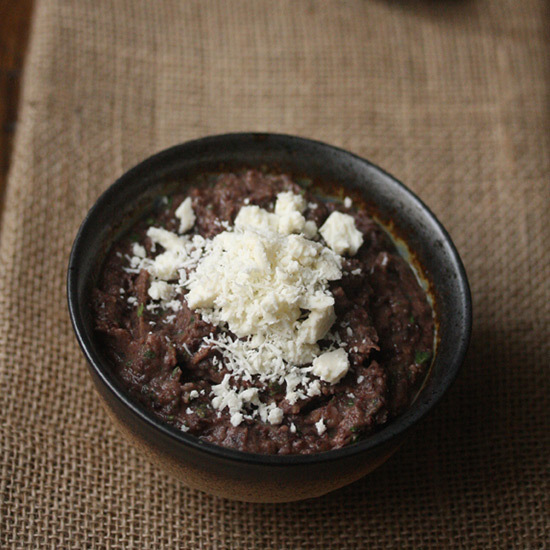 If you can't find cotija cheese, try its slightly softer sister cheese, queso fresco.